Your help comes from Me, says the LORD. 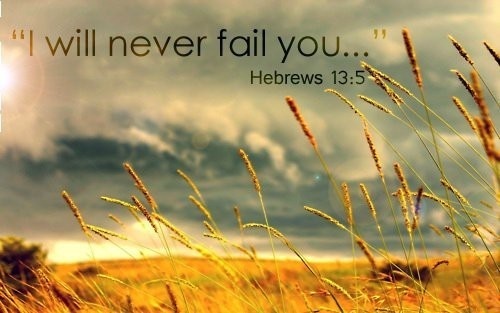 I am always your source and I will never fail you. Trust in My unimpeachable Love for you for everything that happens in your life has purpose. I will bring good out of every situation. Remember the patience of Job! His example does not go beyond Mine as I went to the cross and gave My life for a ransom for many. Many mocked and scorned and said if I was the Son of GOD, come down from the cross; I could save others, but I could not save myself. You may feel the distain of others who mock you and say that if you are empowered by My Spirit, then show it by delivering yourself. Show it by coming down from your own cross that you are bearing. But I say, just as I died and was risen again, you have chosen to die daily to be My disciple and you will live in My resurrection power, says the LORD. I will turn things around for you. I will not allow the enemy to defeat you. I will openly display My power and My authority and bring you out of the fiery trials into My kingdom assignment and promotion. You are not in the fire alone, for I am with you to insure that you will not even have the smell of smoke on you. You will come up out of the furnace of affliction where the enemy endeavored to destroy you with a higher level of authority and power, says the LORD. Trust that it will work for your good, and I Am working on your behalf. You will come up out of the furnace, unscathed, untouched and on display for all to see that there is no power that can conquer your GOD that is in the midst of you. I will not only save and preserve you, but promote and empower you for the kingdom purpose that will unfold and be fulfilled in your full destiny in ME, says the LORD.